WESA Scholars try their hand at suturing, intubations, and physical exams under the supervision of UW Medical school students and residents. Our students began the day by suturing wounds (luckily for our new doctors, these were only wounds in the skin of banana). After being introduced to their instruments, students were instructed on how to properly suture a wound, one stitch at a time. Some patients fared better than others, but all (…nearly all) ended up in a better condition than they started in. Our students then went on to learn about conducting patient interviews as well as performing physical exams. They took each others’ blood pressure and checked their teammates reflexes and cranial nerve health. And shockingly, there is still more! Students were in the van by 8am on Saturday, giving them a full day to try out their white coat skills. 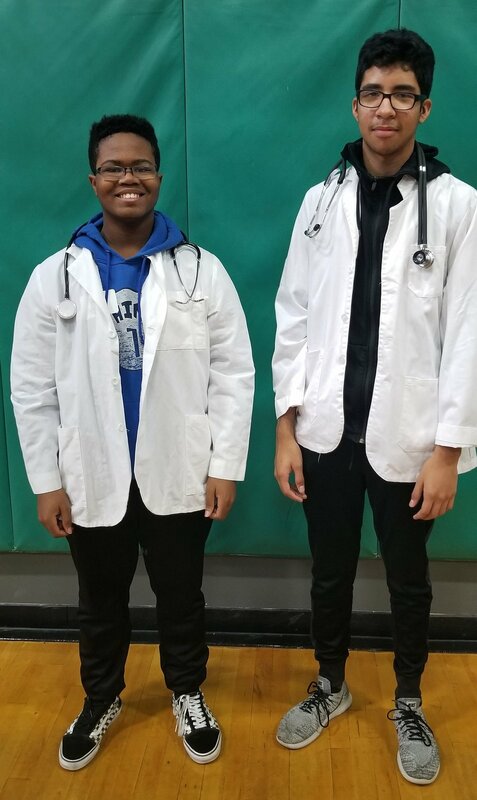 Students were introduced to pathology and had the opportunity to see a number of human organs, some that were healthy and others that were nearly unrecognizable due to varying illnesses. They looked at kidneys, livers, brains, hearts, and more! They donned latex gloves and were able to handle these organs while learning about them from experts in the field. They learned about the importance of respecting organs that belonged to someone’s family member or loved one. And finally, students put their skills to use by intubating dummies. In order to ensure the tube was placed correctly, students used a manual ventilator to get air to the lungs. When they could see the lungs inflating and deflating, they knew it had been a successful procedure. Despite the initial sleep zombies who filled the van, we were all smiles leaving this event on Saturday. One student even commented that it was “lit”- high praise coming from a high school student! Thank you to the University of Washington and its dedicated medical students and residents for making this possible. A look at the numbers. So much joy! Learn more. Two weeks ago, we hosted our first ever golf event. As when doing anything for the first time, it was a learning process for us and we feel incredibly grateful to all of our sponsors, participants and volunteers for making this inaugural event a success! Not only did we have a great time with everyone who attended, but we raised over $10,000 for our scholars. Of this money raised, $2,950 went directly to our Van Replacement Fund (continued here), which was started by a $10,000 grant from Movement Mortgage of which we were fortunate enough to be the recipients. It is events such as this one that allow us to continue to provide free individualized academic tutoring, intensive squash instruction and service learning opportunities to our scholars. We have our first class of freshmen in the program this year and are also looking to grow by nearly 20%. The funds raised at SUS events throughout the year are those that continue to allow us to grow. Our growth means more opportunities for a greater number of students in the Seattle area, and for that we thank you! We are excited to see everyone back again next year, with a friend, co-worker or two! 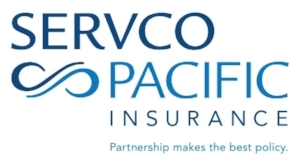 We would also like to thank our Corporate Sponsor, Servco Pacific Insurance for their support. And our Hole Sponsors who helped to make this inaugural event a great one! We had an exciting 2nd Quarter at SUS this year, including graduations, a PSA tournament and an appearance on King 5 Evening! We also hired our Program Manager and squash coach, Phil Lydeard! Phil brings a wonderful energy to SUS and years of experience working with kids on the court. Read more about Phil and the other happenings of our 2nd quarter here. Seattle Urban Squash was featured twice this year in published articles. The first, which made Kate, our Executive Director and a proud Vassar alumna, very happy was in Vassar Stories. Vassar published an article showcasing the work that a number of its alumni are doing in urban squash programs across the country. The second article was written by Michael King with King 5 Evening after he did a short video about Seattle Urban Squash which aired during King 5's Evening segment. Watch the video here! Please find our newsletter from the 1st Quarter of 2017 right here. You can read about the various events we have had and will be having this year, as well as theadventures that our scholars have been on already in 2017!